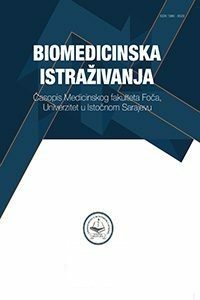 “Biomedical Research” is a journal with double blind review and open approach defined by the Budapest Open Access Initiative recommendations, which means free access to the Internet for all articles without any financial, legal or technical barriers. The journal publishes original scientific papers, preliminary or short reports, literature reviews, case reports, educational and practical papers, the history of medicine papers, comments on previously published articles, letters to the editorial board and other attachments in all fields of medicine, dentistry, special education and rehabilitation and nursing. The new local SaMSIC committee at the Faculty of Medicine Foca 9. February 2018. Еxam schedule-Medicine 12. January 2018. Еxam schedule-Dentistry 12. January 2018. Еxam schedule-Nursing 12. January 2018. Еxam schedule-Special education and rehabilitation 12. January 2018.